The results of the autopsy are yet to be released, but it now appears certain that Philip Seymour Hoffman died from a heroin overdose this past Sunday (2 February 2014). Five empty bags of heroin were found beside his body – and there were 65 unopened bags found around his apartment! When police arrived at the scene, a syringe was still in his arm. It is a terrible loss as Philip was one of the most talented actors of all time. He is best known for his roles in Capote (for which he won an Oscar), Almost Famous, Patch Adams, The Big Lebowski, Boogie Nights, and The Talented Mr Ripley. The news that Philip had been dealing with an addiction problem hit the headlines last year. It came as a surprise to many of his fans because at the time he was in recovery from an earlier addiction. Philip struggled with alcohol problems at college but managed to become sober by going to rehab. He broke free of addiction and went on to carve out an amazing career in the movies. Unfortunately, after two decades of sober living he relapsed, his life quickly starting to fall apart. This time his problems were far more than just alcohol because he also became addicted to heroin and prescription drugs. He entered rehab once again with the hope that he would be able to get back on track. It is hard for people who have never been addicted to understand how Philip Seymour Hoffman could end up losing his life to drugs at just 46 years of age despite being in recovery for two decades. He had already battled to overcome his demons as a young man, so how could he fall into the same trap again? He once told an interviewer that he was lucky to have found sobriety before he became rich and famous. Philip predicted that he would wind up dead in this situation; unfortunately, his prophecy became a reality. Philip Seymour Hoffman had managed to stay free of addiction for two decades, but it still ended up killing him. His time in sobriety did not cure him; almost as soon as he began using mind-altering substances again, he started having trouble. This is why in Alcoholics Anonymous (for example) they like to remind members that they are all just one drink away from being a drunk. It is likely that Robin Williams will be deeply affected by the news of the death of Philip Seymour Hoffman. The two starred together in the movie Patch Adams, both having a similar history with addiction. Robin also relapsed after two decades of sobriety and it wasn’t long before it began to negatively impact his life as well; unlike Philip though, he was able to stop drinking again and recommit to sober living. They say that time heals all wounds but this can be a real curse when it comes to addiction recovery. It means that people can forget just how bad their life was when they were drinking or using drugs. Even after a couple of months, newly sober individuals can start questioning if things were really that bad – and after two decades, it would be very hard to remember the pain of addiction. 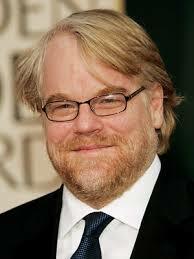 Philip Seymour Hoffman was only 46 years of age. He was an extremely dedicated actor who always gave his best in every performance. It is so sad to think that he is not going to appear in any more movies. It would be nice to think that his death may discourage others in recovery from relapsing, but it is hard to see beyond this terrible loss of talent.